This is the last of my three-part series on our master bathroom remodel, where we took a small half-bath and turned it into a large master bathroom. Part 1 covers the planning process, and Part 2 covers the actual remodel process. In this part, we will zoom in to have a look at some of the little decorative details we added to our master bath after all that heavy lifting was done – the “jewelry,” if you will. Needless to say, this is the part I had been waiting for. 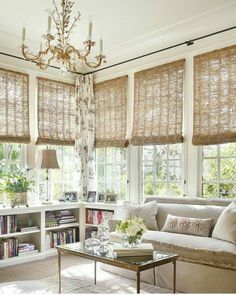 My decorating style is usually simple, timeless and traditional. I’m not a fan of clutter, even if it’s cute clutter. I feel that if you have just a few interesting pieces in a room, they tend to get noticed more. I love to repurpose items and use family heirlooms in new ways. Here, across from the claw foot tub, we found a great home for an antique dresser that had belonged to Chris’s mother. She had found it at an estate sale, stripped off the white paint and refinished it. Since most of the bathroom is so light colored – white wainscoting, white marble – it is nice to have a wood piece to add warmth and contrast. The pitcher and water basin set is also a family heirloom from Chris’s great-grandmother. The set is very old and also very large. We were happy to finally have somewhere to display it that made sense. I also could display a few small pieces from my collection of vintage textiles. I had purchased the two blue leaded glass windows 20 years ago – a bargain find from a discount hardware store. I had been schlepping them around ever since, never really finding the right place to use them. Finally! I had them framed and we hung them above the dresser, a fun nod to the other leaded glass windows in the room. We have three antique mirrors in this room, two on the walls and one on the makeup vanity. The makeup vanity mirror was a birthday gift from Chris. The smaller wall mirror was a bargain find from a second hand store. It might seem like a lot of mirrors, but this room can handle it. The wonderful high ceiling was ideal for hanging this Italian-made crystal chandelier. We finished this remodel several years ago, but since we designed it around the existing style of our 1920’s house, we think it will stand the test of time. When we think of fall flowers, we usually think of mums and asters. Beautiful flowers, but they have a short bloom time, and once they are done blooming, the show is over. And many mums and asters are annuals, meaning they will die completely in winter and you will have to replant them next year. This is why Sedum ‘Autumn Joy’ is such a rewarding addition to any fall flower garden. For starters, it’s a perennial (in hardiness zones 3-9), meaning it will return for a repeat performance year after year. It blooms in late summer, starting with pink flowers on bright green succulent stems. It attracts bees and butterflies. As the season progresses, the flower color intensifies into a deep copper by fall. But the show does not end there. The flowers will fade into russet colored seed pods that add interest to the winter garden and attract birds. ‘Autumn Joy’ looks striking when used as a specimen plant or in borders. With its long season interest and its beautiful succulent stems, it can be combined with summer-blooming annuals and then later with fall mums and asters. It also looks great with ornamental grasses. It prefers full sun to part shade. My biggest and best ‘Autumn Joy’ plant gets late afternoon shade. And although this plant can adjust to less-frequent watering, my biggest and best also gets consistent water throughout the summer months. In late winter, once the seed heads start to look worn, I cut the plant down to the ground, being careful not to cut any new growth, and mulch over it a bit with a leaf mulch to protect it. Once mature, this plant can get 24-plus inches tall, and with its heavy flower heads, it’s a good idea to cage the plant early in the season. Another way to keep it from getting leggy is by pinching back the stems in spring or early summer when the plant stems reach six inches in height, but before the plant starts producing flower buds. 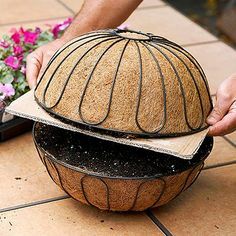 This will make the plant grow more bushy and compact. This perennial has very few enemies. Slugs, snails and aphids aren’t particularly attracted to it. Another great thing about ‘Autumn Joy’ is how easy it is to divide and propagate. Once the plant gets too large, you can divide the roots. Or, like with many sedum varieties, you can take cuttings and place them in moist soil to encourage root growth. This is best done in spring or early summer. I’ve never been a huge fan of those ornamental cabbages you see at nurseries this time of year. With their tight little perfect heads, they just look too contrived for my garden. It’s the ornamental kales that usually get me. With their coarse, looser leaves, they look a little more unstructured than the cabbage. And there are so many varieties now. They grow in plant zones 2 to 11. Here in Seattle, zone 8, they usually work nicely as a cold-season annual. I love this one called ‘Peacock White.’ Here I just paired it with a trailing Stonecrop sedum (Spathulfolium ‘Carnea’) in a small pot for an understated, monochromatic look. Then there is the striking Kale ‘Redbor’ (Brassica orelacea ‘Redbor’). I love the purple coloring, which becomes more vibrant as the weather cools, providing a display of color all winter. I also got some small ‘Redbor’ kales to use an underplanting for the two large containers that sit on either side of the front porch steps. The purple color of the kale is a striking contrast to the chartreuse green Wilma (Monterey) Cypress (Cupressus macrocarpa ‘Wilma Goldcrest’) in each container. Since I usually put Christmas lights on the cypress shrubs in December, I took the opportunity to shear them into shape now so they could harden off before the first frost. A fun task since this cypress gives off a fresh lemon scent when it’s being sheared. In fact, it is also known as ‘Lemon’ cypress. Then I added the kale to the containers. ‘Redbor’ kale can be planted deep. I removed any leaves that looked ragged and planted the kales up to their bottom leaves. I paired them with simple orange and black winter pansies. The cypress, the kale and the pansies all like well-drained soil, so I made sure the texture of the potting soil was not too heavy. ‘Redbor’ kale can get up to 3 feet tall, so these innocent-looking little babies could eventually try to take over the pots and crowd the cypress. If that happens, but while the soil is still workable, I will transplant them into a flowerbed along one of our walkways, where we can still enjoy the dramatic purple color. By then it should almost be time to wrap the cypress in Christmas lights anyway. ‘Redbor’ kale is classified as an ornamental kale, but it is edible. The flavor is best after the plant has been hit by frost. So if these kales get too out of hand, they are going into the frying pan! I will leave you with the recipe, below, for my easy kale fritters. *The ‘Redbor’ kale and the sorrel in the second container shown above are edible, but I would not recommend using them for culinary purposes if, as shown in this example, they have been in a pot with preserved florist’s moss. Now that we have the disclaimer out of the way, here is my recipe for super-easy kale fritters. This is a basic recipe that you can put your own spin on by adding onion, leeks, sweet peppers, or even canned corn. Amounts are approximate and you can adjust them as you see fit, but it is best to use both eggs to help bind the batter. Once you have the batter mixed, it won’t look like much and it certainly won’t look like something that would hold together in the frying pan. But fear not, it will should work. Mix all ingredients together except the butter and 1/2 tablespoon of the oil. Heat a frying pan or griddle over the stove and add the butter and remaining oil to grease the pan. Once the pan is hot, spoon out the mixture and smooth it into 4-inch pancakes. Cook for about 3-4 minutes on each side or until done. Makes about 8 fritters. Healthy and delicious! I like to use ranch dressing as a dipping sauce for these fritters. For chopping kale the easy way, I use a small KitchenAid chopper similar to this one. I love it, especially since I don’t want to hassle with storing a larger food processor. Affiliate links used. To learn more, click here. Posts on this site may contain affiliate links. My mother brought me these beautiful cut hydrangeas from her garden today. The flowers look so translucent, like they are lit from within. Mom said that I should put them in water and enjoy them as cut flowers, and that they would eventually dry instead of wilting. She brought me quite a few, and they are huge flower clusters. So I am breaking them into three floral arrangements, using some of my favorite vases. For the first one, I am using a large pottery urn – 15 inches tall. Since the urn is taller than the flower stems, I have filled up the bottom with small florist pebbles. These pebbles also add some weight so the urn is less likely to be tipped over. I don’t trust the urn to be water tight, so I am going to inset a jar filled with water for the flowers. I just have to make sure the jar is small enough for me to be able to fit it in the urn and take it out again later. Now since hydrangeas are so top-heavy, it’s hard to get them to stay where you want them in an arrangement. And for this particular arrangement that will be important. So before I set this little water jar into the urn I will create a grid across the top of it with regular clear tape, which makes it easier to set the flowers in place. I’ve learned the hard way that it’s best to add the water before making the tape grid. Now the jar can go into the urn, above the pebbles, and it will only take three hydrangea stems, cut at different lengths, plus a little embellishment from my stash of silk flowers, to create this arrangement. The second arrangement will be super simple because the hydrangeas will all be cut at the same height and placed in a wide-mouth glass vase. This vase belonged to my grandmother, and I just love the informal and old-fashioned look it lends to any flower I use in it. Because the vase is so wide at the top and the hydrangeas are so top-heavy, they won’t stay in the vase on their own. And I can’t use a florist frog because it would be visible through the glass. So I am using the tape grid trick again to keep them in place. The third arrangement will be even simpler. It’s all about the vase I use, which is a small elevated urn. Then just one cluster of hydrangeas is cut short to sit right on the top of the vase. This simple and elegant arrangement works best displayed at eye level, for example on top of a bookcase. I love the neat, buttoned-up look of the hydrangea with this urn. I’m looking forward to seeing how these hydrangeas look when they dry and whether they will change colors. I used my Fiskars Pruners to trim the hydrangeas because they are very easy on my hands. A unique floral vase doesn’t have to be expensive. I love these options from Etsy. Okay, the Hull pottery vase IS a bit of a splurge, but it’s pretty dreamy. My post Master Bathroom Remodel Part 1 covers how Chris and I came up with our plan to convert our small half bath into a full master bathroom, and how we found a great contractor. 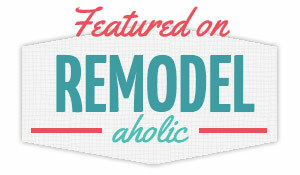 This posting picks up where the fun really starts – the actual remodel process. We were going to cut a huge hole in the roof of our 1920’s house and add a dormer for a full master bathroom. So when I say “fun,” I mean the homeowner’s version of skydiving, rollercoaster, point-of-no-return fun. But other than possibly destroying the look of the house if things went sideways, we really didn’t have much to lose. The tiny half bath, which was actually a converted closet, would not be missed. The master bathroom remodel finally begins! Once I met the project lead, Bruce, I knew we were going to be okay. He knew his stuff, and his easygoing manner had no doubt brought many nervous homeowners down from their ledges. Every morning, he and his crew would come upstairs and work in the hole they had cut in our roof. Every evening, I would come home from work and check out the progress. I would enjoy the view from the new hole and brainstorm on finish materials with Chris. Chris came up with some great ideas: a cathedral ceiling, an in-floor heating system. He also wanted a separate shower and tub, an idea I loved because that meant we could get a free-standing claw foot tub. Our goal was to use materials and moldings that were similar to what we had elsewhere in our house. We wanted the new master bath to blend into the original design. Claw foot tubs were more commonly used in houses older than ours, but they were still sometimes used in the 1920’s, so we felt that it was a safe choice. We didn’t like the look of the reproduction claw foot tubs. After much hunting, we found an old one at a savage shop in surprisingly good original condition and at a great price. We bought it on the spot, hurried home, and Chris jumped in his truck to pick it up before they accidentally sold it again to someone else! We loved the clean and timeless look of Carrara marble. We’d seen it in remodels of other older homes. There were so many Carrara marble flooring options. Some of them, like the mosaic marble tiles, were so gorgeous. But with the amount of flooring we needed, that was little cost-prohibitive so we went with simple 12 X 12 marble floor tiles. We got the sink vanity from Pottery Barn and it came with its own Carrara countertop. But we had to have a marble countertop custom cut for the little vanity desk. We were lucky to find the little wainscoted vanity on closeout at Pottery Barn for under $800. It included a Carrara marble countertop and a sink. There was white subway tile in our main floor bathroom. So we used subway tile in the new shower stall with a black marble liner tile to add interest. The marble liner is in a classic Greek-inspired pattern that was popular in the 1920’s. We liked the warm glow of nickel over other finishes that might be popular at the moment but later would go out of style. We decided to keep it classic and go with nickel finish towel bars, faucets, and light fixtures. We considered using subway tile as wainscoting for the walls, like we have in our main floor bathroom. But for this remodel, that would have been a heck of a lot of tile – maybe to the point of overkill. So we opted for beadboard wainscoting, still very much in keeping with a 1920’s house. These are pretty common and still widely available. But they look nice with white cabinetry and they were used in the house’s original built-in cabinets. The original leaded glass windows in the house are of course single-paned and the new bathroom window would be double-paned. It’s difficult if not impossible to get double-paned leaded glass windows. So we had to find a work-around. We ordered plain wood-framed double-paned windows. Then we had strips of leading added over the glass by an artist who specializes in stained glass windows. The windows were then framed with molding that matched the original windows. On either side of the footprint of the new dormer, we had little sloping areas that followed the original roofline. We wanted to put these little spaces to work. a vanity desk on the other. They would be very specific sizes and had to be custom built. Bruce worked with a cabinet-maker who built them with inset drawers to match the original built-ins elsewhere in the house. Once the dormer was built, it was time to match it with the original stucco siding. We didn’t want to use stucco panels on the dormer, knowing the texture wouldn’t quite match that of the house. Bruce found a contractor who specialized in real old-world stucco to come and work his magic. Chris did the demo work himself, saving around $1,000. We did the interior painting ourselves. We hired our own electrician. He had done great work for us before and he charged a reasonable rate. In Part 3, we take a closer look at some of the fun little details of our master bathroom remodel. In my previous post about the potting shed we found on Craigslist, I talk about how using a strong, bold color on small outdoor structures can really add interest to your garden design. This is one place where it is usually safe to be whimsical and have some fun with color, especially if the structure is nicely framed by plants and trees. I chose a color I call “snappy green” for our signature color because it looks fresh and unexpected. 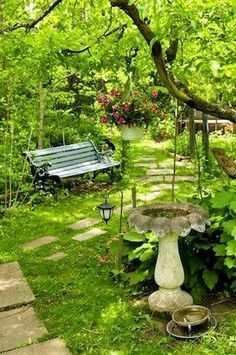 It’s strong enough to hold its own when the garden is colorful, in the spring and summer, and also add some interest in the dead of winter. When choosing your signature color, think about what you have going on in your garden at various times of the year. Think about your plants, trees and flowers. Is there already a common color theme here, maybe one that you hadn’t noticed before? Often times, whether we realize it or not, we are attracted to the same or similar colors when buying new plants. What color could you choose as a signature color that would really play up the colors in your garden? Also consider your house and how your signature color will impact your house color. Look at the big picture and find colors that play well together. But remember, if you have a colorful garden, you will need a strong signature color to make any kind of impact. And don’t underestimate the power of strong neutrals like ebony. You don’t need to paint or match every garden decoration to your signature color. 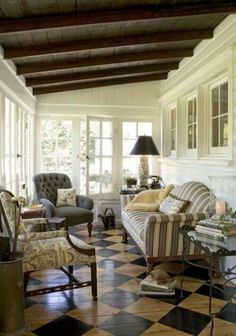 A few rustic or contrasting counterpoints soothe the eye and add interest. 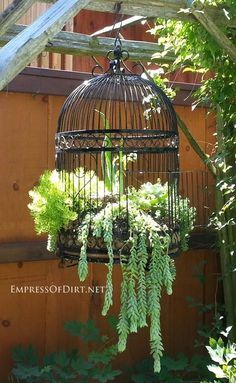 For example, the container below, which matches my signature color, stands next to a rusted metal trellis. Our back patio is in close proximity to the garden shed. Luckily, we found an off-the-rack Rustoleum spray paint color (“Eden” in satin) that closely matches the color we used on the shed, making it easy to paint and occasionally touch up the patio furniture. Our patio furniture painted our signature green. Unless you want a very manicured look in your garden, the goal here is very subtle – to create a certain order, or flow, in your garden using your signature color, but without the color overwhelming your landscape design. 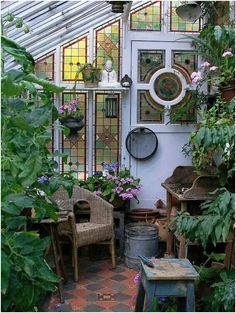 This way you are free to bring in pieces of garden décor and create little vignettes that you enjoy even if they are not your signature color. 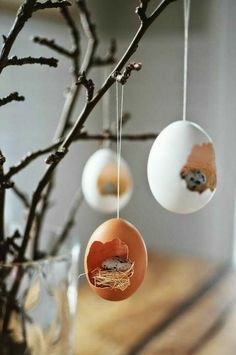 You don’t need to spend a fortune to create a memorable atmosphere for your guests. 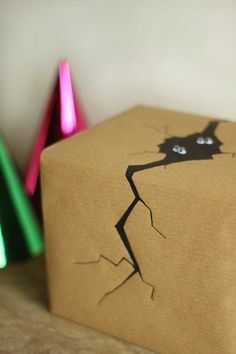 With party decorating, it’s not so much what you spend as how you put it all together. Here are three easy and affordable ideas. Sarongs come in so many sizes and patterns and most of them are less expensive than a new tablecloth – and more interesting. They work as a tablecloth for small tables or as a table topper for larger tables. This is a sarong I got at an outdoor market in Hawaii for around $10. For this brunch, I paired it with vintage elements: my antique china, crystal and silverware, and a footed milk glass candy dish as an elevated flower vase. For your buffet table, make sure your food is presented at different heights. This creates a far more interesting presentation than if your food is placed on platters that are all at table height. Don’t worry if your serving pieces don’t match, and don’t worry if you are using a serving piece for something other than its originally intended use. For example, it’s okay to elevate an appetizer like bacon wrapped dates by serving them on a footed cake plate. Next time you are at the thrift store or at a garage sale, look for footed or elevated serving platters. The glass cover, above, although not elevated, lends a vertical element to buffet tables. You can make your own small elevated serving dish by gluing a small vintage plate to a brass candlestick. Just make sure it’s stable enough not to tip over if nudged. Other than food safety, there are no rules here. So have fun with this one and your buffet table will be more interesting. This is a little “old world” trick I learned from my mother, who learned it from her mother. Times were tough for my mom growing up in Germany during WWII, and her family was barely scraping by. She and her siblings usually didn’t get birthday gifts, but her mother always made the birthday boy or girl feel like a VIP, starting in the morning when their breakfast plate was ringed with flowers. Buy why stop at birthdays? If your event is going to be a sit-down meal, you could add this fun little touch to everyone’s place setting. You can go subtle with this idea or create a big splash. The possibilities are endless. Flowers out of season? Go shopping in your garden for attractive greens to use instead. This is the little half bath on the second story that connected to our master bedroom. It really started life as a walk-in closet, and sometime in the 1950s it was converted to a half bath. As you can see, it’s tucked into the roofline of the house. We wanted to bump out the sloping wall along the roofline and convert this little half bath to a full master bathroom, which meant (gulp!) cutting a huge hole in our roof and putting in a dormer. 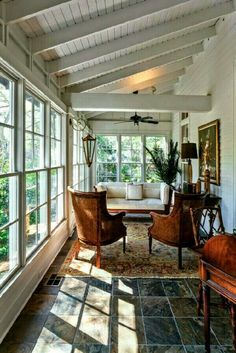 Not only would this give us enough space for a full master bath, but it would also add an east-facing window to the second floor. And windows are a big deal to me. The planning process – my heart was in my throat! Adding a dormer to the 80-year-old house, if not done correctly, could really ruin its original charm. I see this kind of thing all the time – unfortunate add-ons that obviously aren’t original to the house, and visually they do more harm than good. I would rather have lived with the tiny half bath forever than have our sweet old house fall victim to that kind of abuse. With remodel projects, I always feel more confident if I can really picture the finished product in my mind before we even start. So I would stand in the tiny half bath and try to see all the possibilities. Chris drew a template of the entire upstairs area – the finished space and the unfinished attic combined. We used copies of this drawing to sketch out many possible bathroom configurations. Then we would put the sketches aside until one of us had a brainstorm and wanted to add or change something. We didn’t rush this process. We looked at books and magazines for inspiration. 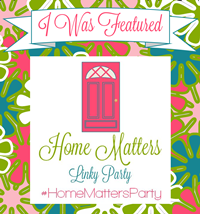 We attended several local home tours. We researched dormers and photographed homes from the 1920s that had dormers we liked. Finally we had a roughly sketched plan we both liked. We were ready to get an architect to draw it up. His drawings included several images showing how the exterior look of the house would change. It all looked good to me on paper, and I prayed it would look good in reality. For this remodel, we would be, as previously mentioned, cutting a huge hole in our roof and then framing in a dormer. The dormer would then have to match the existing siding, which was the original stucco. We would also be adding pipes and drains. So we decided we would bite the bullet and hire a general contractor. But how to find a good one? We sent feelers out to friends and co-workers asking for contractor recommendations. We cast a wide net from our real-life contacts so we would have several recommended contractors to choose from. Then we considered the source. For instance, if I knew a particular co-worker to be a perfectionist and/or they had good taste, then we would definitely plan to meet the contractor that they recommended. Bonus points if this perfectionist co-worker hired the same contractor more than once and was still happy. Or if someone else recommended that same contractor. We scheduled meetings with the top three referrals to talk about our remodel plans. All three seemed very competent but we just had a good gut feeling about one of them. We liked him. And as it turned out, we also liked his crew, especially the project lead, Bruce. It never occurred to me how much time this crew would be spending at our house. That we liked these guys was a huge bonus because that made it easier for us to ask questions and request changes. Bruce was honest with us when he knew an idea we had would not work, but he was also very accommodating about changes if they were for the better. And he liked our cats. Now that we had the right contractor, our work was done, right? Wrong! All our weekends were spent scouting finish materials and fixtures and making decisions. In other words, shopping. Oh the sacrifice! More on this in Part 2. After we removed a large dead shrub from our yard, we decided that a small garden structure would be perfect in its place. This is the nice little used potting shed we found on Craigslist. We had it delivered from Eastern Washington via flatbed truck. Potting shed shortly after its arrival – before paint and new roof. The unpainted, slightly weathered wood must have looked charming among the dry prairie grasses and sage bushes of Eastern Washington, but it looked wrong for our garden. And with the months of rain we get in Seattle, it was only a matter of time before the wood became a host for that ugly black algae that thrives here, leading to a fair amount of maintenance. Been there, done that. I considered painting the shed the same color as our house and garage, but this little guy needed more personality to really pop. And since it was set away from the house and garage, painting it a different color would work. At the time, I was obsessed with a color that fell somewhere between Chartreuse green and apple green. A color I called “snappy green.” I wanted that color on everything! Of course, it is a color to be used with some restraint. But outside among all the other greens, it’s actually neutral. It’s fresh yet sophisticated. After Chris painted the shed, it was re-roofed with a color that would play well with the snappy green. A skylight was added to the back of the roof to provide natural light. A trip to the salvage shop netted some large concrete blocks that made a good front stoop. There are many other strong colors that would have worked just as well on this little structure. One thing to keep in mind if you try something like this is that you might want to make the strong color the “signature color” for all your major garden structures and furniture so that it ties the prominent man-made features of your garden together into a unified look. For more details on this idea, see my post on finding a signature garden color. In the meantime, I will leave you with a few images of the interior after Chris installed a potting bench, small shelves and a simple tool rack. Here are some fun vintage items on Etsy similar to those in our shed, plus some Shaker brooms that are not only attractive but great for tricky garden tasks like sweeping leaves out of gravel walkways. When we lost Chris’s mother Betty earlier this year, we knew she deserved a special farewell. She would not have wanted a funeral or a sad memorial, so we opted for a celebration of life party to honor all the phases of her 94-year life and all the people she touched along the way. We had boxes of old family photos, some dating back to the 1920s. And luckily Betty was very photogenic. I was struck by how classically beautiful she looked in the black and white photos. She looked like a movie star from Hollywood’s golden age. And some the of the photos from the 1960s, like Betty with a Jackie Kennedy dress and hairstyle standing beside her 1962 Impala, were priceless. Then there was Tomboy Betty, dressed in plaid flannel on hunting trips with her family. A prettier tomboy never existed. Cleary these photos had to be incorporated into the party. But a slide show would have been next to impossible on a sunny day. So I scanned about 40 of the best Betty photos from all phases of her life and ordered 4 X 6 prints of them. Then I simply took 8½ X 11 brightly colored cardstock, cut it in half horizontally, and glued a photo onto each piece of cardstock. Now I had photos with simple mats. And strung together on a clothesline, they would make a colorful banner on one side, and a photo gallery of Betty’s life on the other. The day of the party, we set up the party tent that would shade the food table, and we strung clothesline around all 4 sides of it at eye level and affixed the photos with clothespins. We told our guests that they could unclip and take home any photo they liked. That way they would each have the photo of Betty that meant the most to them and, since it was already on a simple mat, it was frame-ready. Our little potting shed, standing in close proximity to the food tent, become the “memory room,” where we placed more portraits of Betty, her high school yearbooks, ceramic projects, wedding photo, bibles, and other memorabilia. I also put a laptop in there with a running slide show of all the photos I had scanned for the party banners. I rented white folding wooden chairs from a party rental store so that the party had a more unified look, and we scattered small tables and the chairs around the garden. Betty had a lot of great little pieces of old linen and lace which I, being the vintage textile junkie that I am, had held on to. I topped the small tables with her vintage fabrics. I also used her teacup collection to create rose-filled cup and saucer centerpieces for the tables. When we lose someone like Betty after a long illness, it’s easy at first to only remember that person at their worst, during their illness. But a party like this creates a relaxed atmosphere where friends and family can remember the good times and share those memories with each other. Betty would have loved it!